Established for over 35 years, Harford's is a family owned private company, situated in the South Island of New Zealand on the out skirts of Christchurch 8051 City. 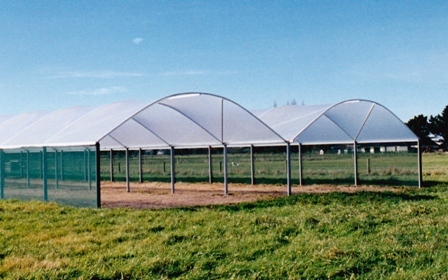 The company is primarily involved in the design and manufacture of medium to large commercial greenhouse structures and growing systems, both kit-set and full turnkey. The company also offers a new range of steel framed sheds suitable for farm or commercial use. Harford's sell directly to the end user in the domestic market from the Christchurch 8051 Head Office and in the top of the North Island via a licensed distributor with some manufacturing facilities. At this time the main export is Australia, selling directly to large commercial growers as well as via smaller distributors in each State. Manufacturing capabilities include design, cutting welding and forming, covering materials are sourced locally or via European suppliers. The present production facilities capable of meeting up to 6 hectare projects with larger projects being catered for by a dedicated outside supply source. All marketing and sales functions are catered for in-house, promotional materials are readily available (at this time only in the English language) advertising, both domestic and export, is shared on a co-operative basis with the distributor network. The company prides itself on ingenuity, technical ability and an in depth knowledge of the horticultural industry to keep ahead of the competitor. "The customers complete satisfaction is our assurance of a future" is an integral part of our mission statement.